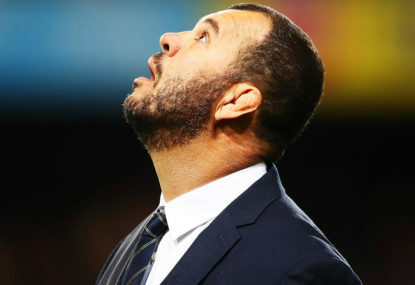 The Israel Folau ‘Hell Awaits’ saga has revealed a lot about many people, including the likelihood that Michael Cheika has already forgotten who now selects the Wallabies team and some inconsistency over who he thinks deserves another chance. My favourites are the people that scoff in ridicule when asked if they believe in hell, and then proceed to become enraged over Israel Folau’s ‘Hell Awaits You’ social media posts. 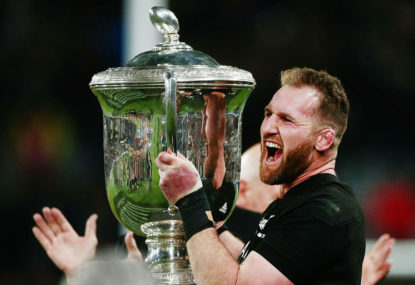 The viability of the Nations Championship, pre-World Cup player workload management, changing the Crusaders’ name and the Sunwolves’ Super Rugby axing – there’s plenty of complex and emotive issues currently being debated in rugby. “One man’s trash is another man’s treasure”. 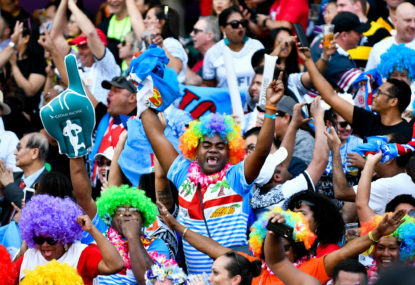 The head spins when trying to decipher the power plays that are emerging as global rugby’s landscape gets ready for a sizeable shake-up. There’s as much to love about Ned Hanigan’s early-season form as Quade Cooper’s start to his Super Rugby stint in Melbourne. 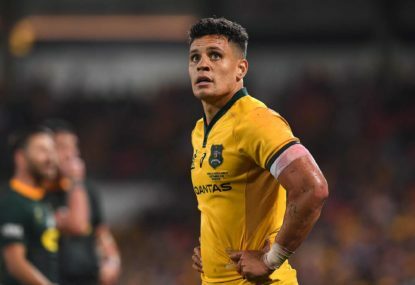 The Next Big Thing in Australian rugby is a void that needs to be filled, because that’s the job of impassioned and impatient Wallabies fans longing for better days. 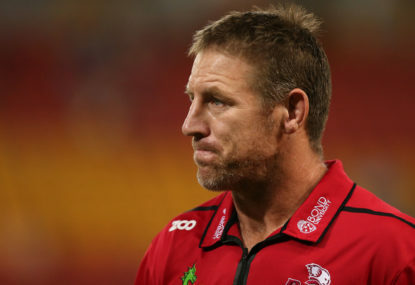 Brad Thorn might be channeling a bit of Roy Masters with the way he’s been moulding the identity of the Queensland Reds over the past year. For the next five months, it’s going to be much more fun being a Wallabies fan. 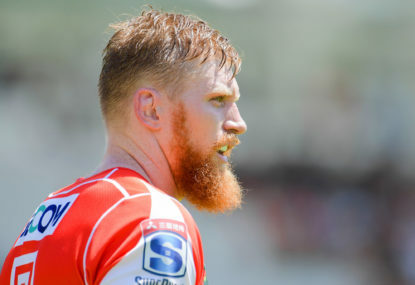 Can Chiefs get the best out of Rebels reject? Australian rugby is in danger of looking a bit Mickey Mouse if a talented playmaker blossoms under the tutelage of Kiwi coaches this season. Is Twiggy ready to do a Packer, or just pack it in? 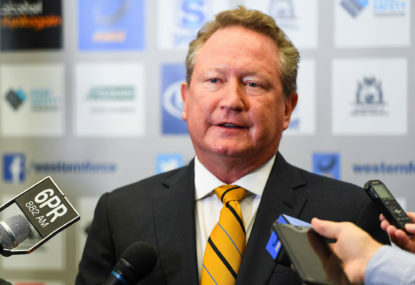 He’s promised a rugby revolution, but does Twiggy Forrest just want to run for the mines? 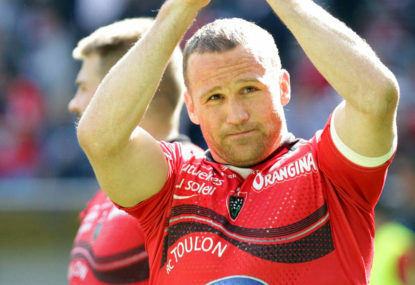 The billionaire yesterday announced that he had been forced to postpone his Global Rapid Rugby competition until 2020. Will Skelton isn’t even a first-choice lock for his English club side, but that shouldn’t matter to the Wallabies. Alignment and centralisation: Sounds great, but will it work for Wallabies? 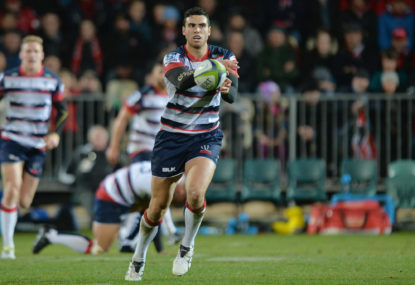 Imagine this: It’s mid-May and the Melbourne Rebels are in a hole. 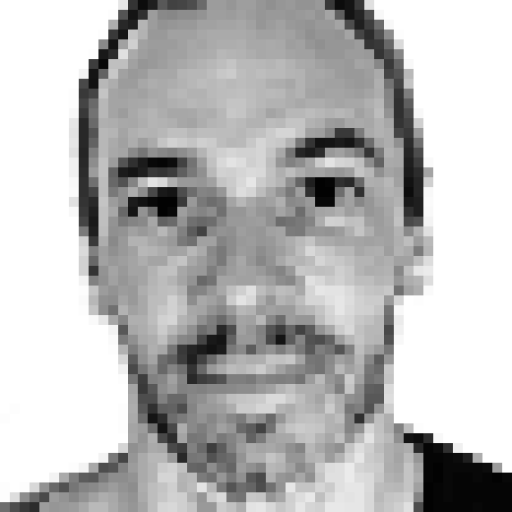 Is Twiggy’s trailblazing GRR a curiosity, or will it catch on? On the Australian rugby estate, the distance between the Castle and the Forrest is big, and growing. 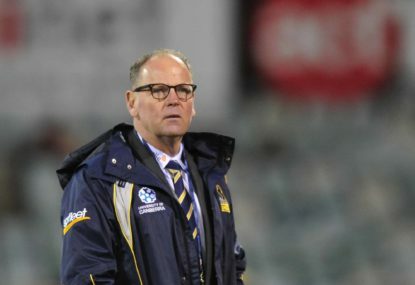 Australian rugby’s recent focus has been firmly fixed on Michael Cheika and his tenuous job security, but there’s another coach facing an even tougher assignment. It was one of the most enduring images of the rugby year, Pieter-Steph du Toit shedding a tear as he embraced his South African teammates at full-time in Wellington in September. Do your homework and you’d realise that employing a South African to coach the Wallabies won’t work. 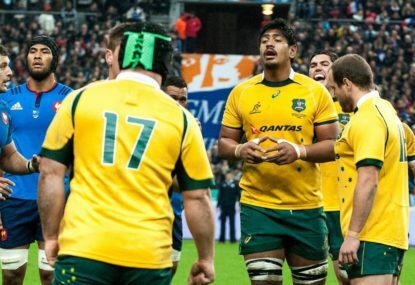 Just a jersey or a reason for Wallabies hope at Twickenham? It was deep into injury time, after digging deep mentally for 80 minutes, when the penny dropped as to why the Wallabies will beat England at Twickenham this weekend. 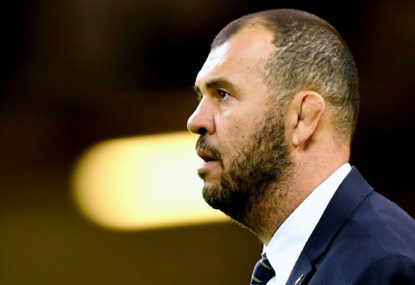 Why do Wallabies coaches have immunity until the World Cup? 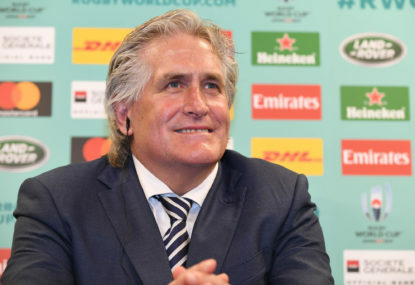 If watching the Wallabies labour through another Test loss is difficult, what’s harder is knowing that the World Cup seems to gift impunity to those steering the sinking ship. Yeah I suppose so PeterK. Quade looks in control at the moment. But geez I reckon Super Rugby demands a bit of run in your five-eighth. Test rugby perhaps less so but the Wallabies are one team that you’d argue need it more than most because they rarely get dominance in the forwards. It’s not like he can play like Farrell. Or Handre Pollard. Yeah Quade should be there somewhere. I’d would be great to see his running game fire up over the next few weeks. Would get Wallabies fans even more excited! The Wallabies need a genuine playmaker as the forwards don’t dominate other packs. Owen Farrell isn’t much of a running five-eighth largely because he doesn’t have to be – he controls things being a brutish Pommy pack and feeds his midfield when they’re on a roll. Hey I’m a Quade fan Kenny’s Leg. There was no intention to create click-bait. Like Glenn Maxwell, Quade certainly brings out the effusive side in rugby fans – from all around. 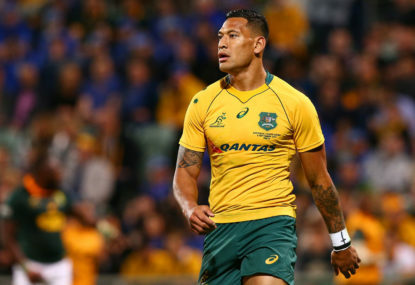 Quade has been going well, but well enough to say he’s worthy of a Wallabies jersey? I’d suggest after three games it’s more of a punt than a call backed up by enough consistent Rebels’ performances. Yep Fionn, the comparison was used to highlight that Quade’s good stuff gets highlighted much more than someone like Hanigan, which is understandable given he’s a playmaker with usually more influence on a game. But aside from that, because of his history and demeanour, people can get a bit carried away with relatively small involvements. A lot of people want him to thrive as when he’s on he’s brilliant to watch, much like Glenn Maxwell. But let’s take a few deep breaths; talk of a Wallabies call-up in understandable but to say he’s already moved ahead of Bernard Foley – after three games – is a bit much. Mostly, I want to see him pick his times to run and break the line that way. 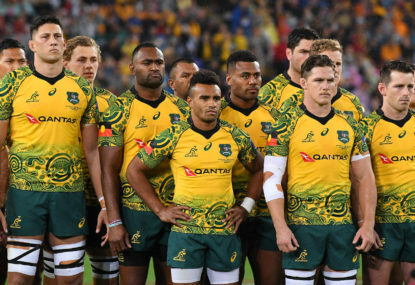 The Wallabies need that as the forwards aren’t going to boss too many packs around – although for that reason it makes it hard to create gaps in the defensive line when you’re not going forward with any great pace or power. Good to get an update on Zack Holmes, thanks James – good read. Plenty of pressure at Toulouse! Yeah Rhys by lightweight I probably meant physical dominance, although being so new to Super Rugby they haven’t had time to prove much. Tonight should show us a lot. I get the feeling they will kick for field position a lot and try to muscle their way forward with a strong lineout. And with the security of a strong scrum they can afford to push a few passes after six or so phases. Fair enough Freddie. Yeah cultural change usually creates significant upheaval, especially if it means cutting your staff in a fairly public and humiliating manner. And it comes with great risk. As a comparison, imagine what it would be like to manage an NFL squad with all those egos and testosterone?! How many in a squad? About 55 I think? Imagine trying to build and maintain a club culture with so many alphas?!? Tough! Although Super Rugby squads aren’t nearly as big, it still seems more realistic to manage egos and only shake the real outliers. Is Quade, for instance, one of those? Yep that’s the great unknown: does “squeaky clean” as you put it get the job done? I like the philosophy, that you get growth and camaraderie out of army camps and lung-busting summer workouts. But does it produce results or is it fanciful? I hate the cliche, but have the Reds “bought in” to Thorn’s approach?! I hope it works. It will prove that coaches can make a real attitudinal difference, not just a strategic effect. I reckon that back-row is a pretty lightweight and probably lacking a bit of power Fionn. And Izack Rodda doesn’t seem to dominate physically as you’d expect someone at 120kg should. Ha sorry snowybaker. The Donald pops up EVERYWHERE! It was a quick line to make sure that I’m not deemed to be a nationalistic loony. Patriotic yes, but when national pride goes too far, that’s dangerous. Trump often steps into that territory when he talks foreign policy, trade etc. But this is only sport, right? I’m open to a foreign coach. But a foreigner comes with risks – he would have to turn things around quicker than an Aussie. To me, that’s just our parochialism. No Val I’d be keen to see White get a gig in Australian rugby. You can’t argue with his record across many countries and age groups over a long time. That’s not a fluke! But what I was trying to address was a bit sympathetic to White in that a foreigner doesn’t get cut much slack if things don’t improve – and fast! I think – as pointed out in a few comments – it’s an Australian parochialism that drives this. But it’s probably an innate tribal trait for most humans; they tend to trust their own, particularly when under pressure and stress. So I’m not against a foreign coach for the Wallabies. I’d prefer an Aussie. But for that foreigner, beware that the marking system is a lot more rigorous. I liked Robbie Deans. A tough, sincere and honest man. White seems like a strong character. Get him in whether it’s as head coach or Director of Rugby. Ha. Brilliant Harry. Killin’ it! Agreed Dre, the scheduling is all over the place like Lloyd Pope’s hair. But it’s hard to feel sorry for the players. They want to be paid more which naturally means playing more. And all international players are pretty much in the same boat – they roll from format to format in different countries often within a few short weeks. They should be willing to adapt and not make excuses. For a lot of the Aussies that demanded more during the pay dispute, they are the same cricketers that moan about the packed schedule. They can’t see the link?!? Fair call. But I was trying to keep the article to a simple argument about who the Wallabies look to for more points. Spot on regarding Beale and Foley – they missed quite a few tackles in the first half in Salta too. Yep we are all prone to a brain fade, right?!?  Woops. Thanks for pointing out. That will do me. So if you’ve got your feet planted on the ground, swinging arms and shoulders to the head are just unlucky mistakes. I mean you’ve got your feet on the ground, right, so it can’t be careless or reckless. Give me a break. No way did he aim to take O’Mahony down. I challenge you to jump in a contest close to the ball with an opponent and NOT have any contact with them. It’s just about inevitable if you both judge the path of the ball correctly. There wasn’t any intent from Folau that to me was careless or reckless. Yeah good points Brasstax. But the appeal is conducted before an independent commissioner. Which makes it all a bit nebulous. Do they need to take into account the recent public sympathy given CA said they took into account the public’s initial outrage when handing out the bans?!? Does the independent commissioner take into account the financial implications you mention? Justice not simple. The Rabada appeal proved how differently the independent commissioner can view an incident. Hey Paul – I mean a 3-month reduction from 12 months to 9 months. That would mean he’d be available from January 1. Therefore he would get that second half of the Sheffield Shield season – I think it is split down the middle so 5 games between October and December and 5 games between February and March. When would they leave for the Ashes? Start of June? So squad announced middle of May? Not sure if any Test series away in March and April like this year. Wouldn’t think so. So Shield form is paramount over that second stage. It’s not entirely out of the picture that an appeal could lead to a return to state cricket as soon as possible and an international ban reduced from 12 months to 9 months?!? Even 6 months?!? Yep agreed. Our summer Test crowds are healthy, and it’s due in a large way to the schedule being over the school holidays-Christmas-NY stretch. Nonetheless, play a four-Test series against South Africa in Australia in March and I reckon the crowds would still be solid. 20,000 I’d say for weekend day’s play in Sydney and Melbourne for a start. Yeah schoolyard trash talk was meant to highlight the intellect level, but you’re right – it was, hopefully, more bitter than an average playground squabble. And I agree, it’s a risky business pursuing sledging through a session or a long innings. I guess the mentality is once you start, you can’t then go silent because that would be an admission that it hasn’t worked. I actually wouldn’t like to see banter taken out of the game. It gives it a bit of spice. But as always, stay in the boundaries of decency. So start the BBL a few weeks earlier matth?! Ben Brown – that was a question that was answered definitively by the male players in the recently negotiated EBA. Male players signed the deal to give females I think it was a 127% pay rise. For international players. And a massive one for domestic female players too. This even though they hardly generate any income (although that might change in new broadcast deal).